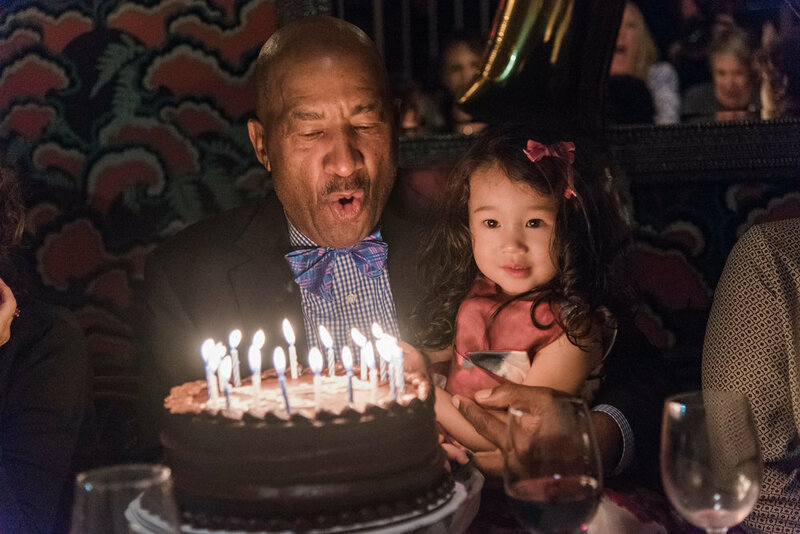 A birthday guy blowing out candles with a granddaughter sitting on his lap. 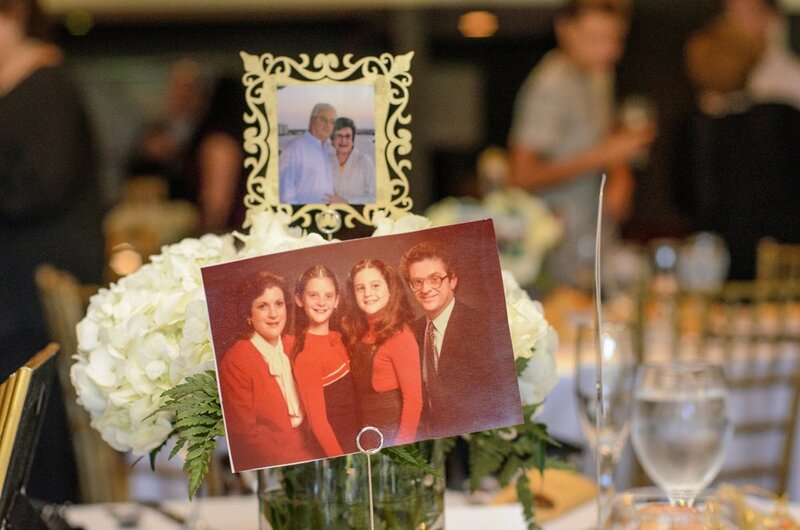 Photos of the anniversary couple on the tables during a wedding anniversary photo session. 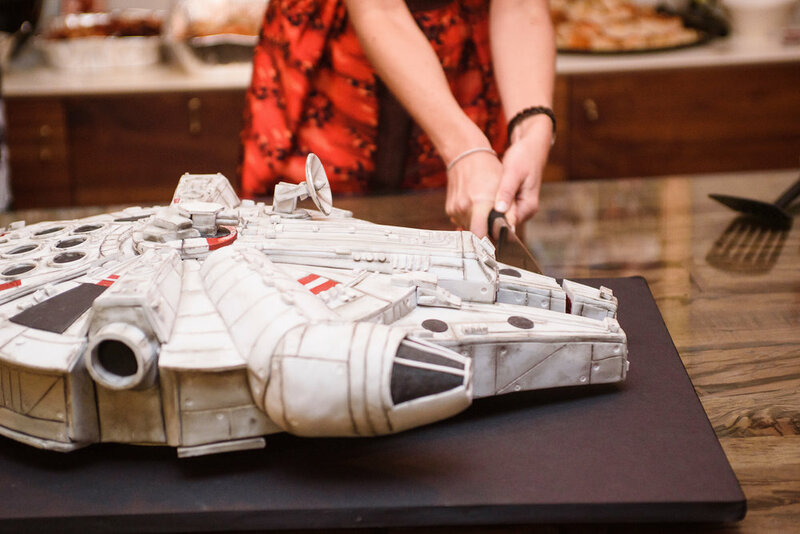 Birthday cake shaped as a Star Wars ship.